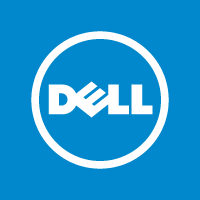 Dell Recruitment 2019 scheduled to hire Graduate Intern & Software Engineer for Engineering graduates at Bangalore Office. The detailed eligibility criteria and application process are given below. The candidate should possess good understanding of Operating System, Data Structures, Algorithms and good overview and knowledge on PC architecture. The unit test development team is looking for a candidate who can develop code in Python towards building infrastructure for the current and upcoming projects. The candidate will be involved in one of the activities of the unit test development team. PowerMax event trace logs based on specific features and the algorithm implemented as part of the feature. The automation code will be written in Python. As part of building the infrastructure, the candidate will document the APIs and also create methodologies on how to use the APIs by implementing an example from one of our current projects. The candidate will work under the guidance of other members from the team. How to apply for Dell Recruitment 2019?